Our vision is to advance composting technologies, practices, and beneficial uses that support resource conservation and economic and environmental sustainability. International Compost Awareness Week (ICAW) is the largest and most comprehensive education initiative of the compost industry. It is celebrated nationwide and in other countries each year during the first full week of May. The goal of the program is to raise the awareness of the public regarding the benefits of using compost to improve or maintain high quality soil, to grow healthy plants, reduce the use of fertilizer and pesticides, improve water quality and protect the environment. The program includes a poster contest, programs at schools and activities and events promoted through governments, public municipalities and local businesses nationwide. Each year a theme is chosen. 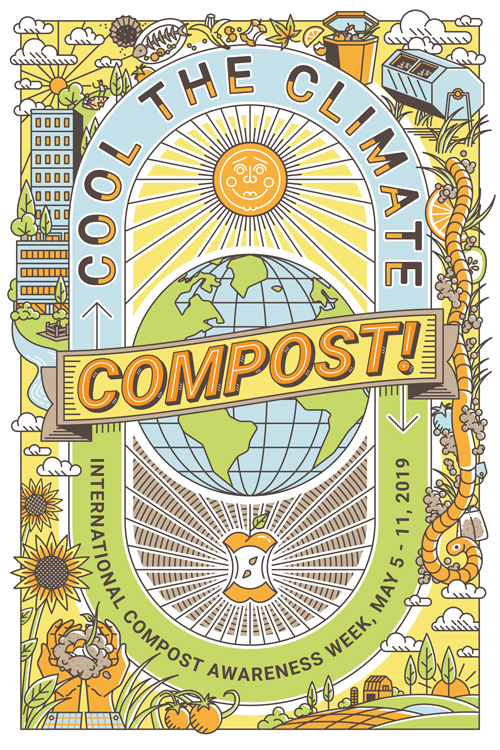 The theme for ICAW 2019 is Cool the Climate - Compost! The dates for 2019 are May 5 – 11. The CCREF is pleased to announce it is seeking to hire a video production company to produce training videos on the proper acquisition and preparation of finished compost samples to send to a lab for analysis. The video production company must have experience with on-site filming and educational film development. 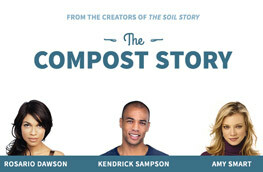 Familiarity with compost is a plus, though not required. Completion date for the project is anticipated to be fall 2018. For full details, see the RFP. If interested, direct any questions or submit proposals and examples of work to Wayne Howard: waynehoward@compostfoundation.org, 919.271.6749.